The 2017 Mitsubishi Outlander has been named a Top Safety Pick+ by the Insurance Institute for Highway Safety (IIHS) when equipped with the optional Touring Package, marking the fourth consecutive year that the seven-passenger crossover SUV earns the award. After its evaluations of 2016 model year vehicles, the IIHS toughened the criteria for the Top Safety Pick+ award to reflect new headlight evaluations, as recent tests had shown that few vehicles on the road offer even acceptable headlight visibility. To earn 2017 IIHS Top Safety Pick+ recognition, the 2017 Mitsubishi Outlander had to earn the highest possible rating of “Good” in all five crashworthiness tests—including small overlap front, moderate overlap front, side, head restraints and seats, and roof strength—as well as earn an “Advanced” or “Superior” rating for front crash prevention and an “Acceptable” or “Good” rating for headlight visibility. Standard safety features in the Mitsubishi SUV include seven airbags (including a driver’s knee airbag), anti-lock braking with electronic brake-force distribution and brake assist, active stability control with traction control, tire pressure monitoring, and Hill Start Assist. 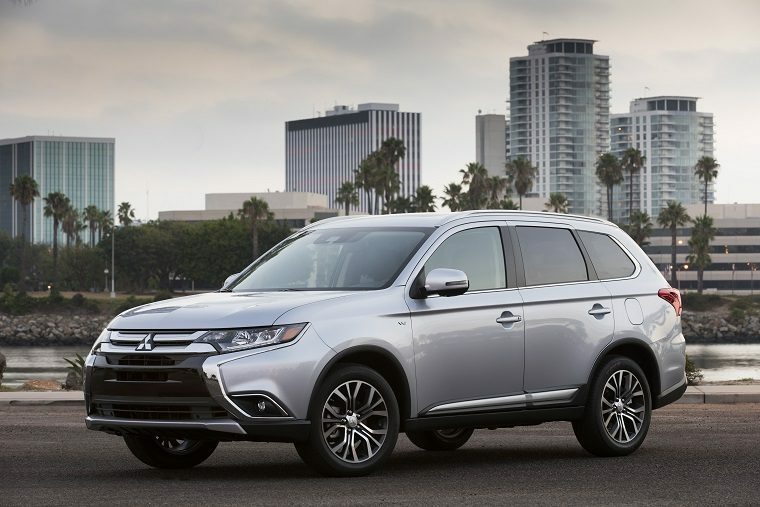 When equipped with the Touring Package, the Outlander also gains adaptive cruise control, blind spot warning with lane change assistance and rear cross-traffic alert, forward collision mitigation, lane departure warning, and a pedestrian detection system.